Earlier this week, McDonald’s announced the ~$300m acquisition of Dynamic Yield to help it display digital menu boards to drive-thru customers that can change throughout the day to reflect items more likely to be sold by taking into consideration factors such as weather, traffic, time, and even how long a customer waited in line. – It’s ~$20m less that what McDonald’s and franchisees are spending to modernize restaurants in New York alone! 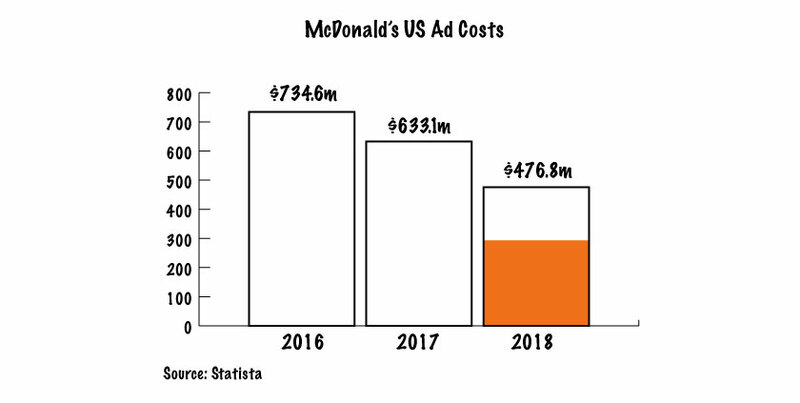 – It’s ~$177m less than what McDonald’s spent on advertising in 2018, according to Statista. – It’s less than the revenue McDonald’s pulls in a week (read: in 2018, McDonald’s generated ~$21.03b in revenue). But the Big story here isn’t Big Data, it’s the Big problem McDonald’s is trying to solve for. 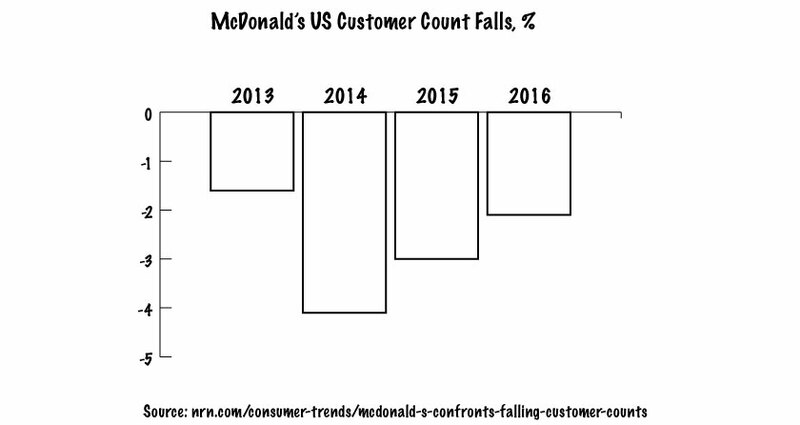 In the US people are visiting McDonald’s less often, partly because McDonald’s is losing share of breakfast orders to competitors like Taco Bell [problem #1]. And the company’s partnership with UberEATS (which began in late 2016) comes at a cost. While McDonald’s says that delivery orders are about twice the size of an average in-restaurant check, UberEats takes a 20% cut of every order, according to three franchisees who shared their frustration with AdAge. In other words, McDonald’s is earning less on its modern consumer base [problem #2] and – with this acquisition – is likely looking to offset the cost of meeting the expectations of its future customers. The price McDonald’s pays to be on UberEats is equivalent to the price insurers pay for going online (being convenient). With all its goodness, the internet also means democratization, which also means commoditization. – Unlike McDonald’s, insurance isn’t a straightforward business. – Unlike McDonald’s, insurance isn’t a high volume item. – Unlike McDonald’s, up-selling options in insurance are limited. – But just like McDonald’s, insurers need to explore ways to offset the cost of being convenient. In a bit over a decade, so much has changed. How we converse – changed. How we buy – changed. How we commute – changed. How we eat – changed. How we read – changed. How we work – changed. How we stay informed – changed. How we’re diagnosed – changed. How we interact with insurance – changed; for better and for worse. GEICO (currently counting >16m customers) pioneered selling insurance directly to customers. This allowed them to keep costs down and premiums low. “Another way to prosper in a commodity-type business is to be the low-cost operator. Among auto insurers operating on a broad scale, GEICO holds that cherished title.” “Originally, GEICO mailed its low-cost message to a limited audience of government employees. 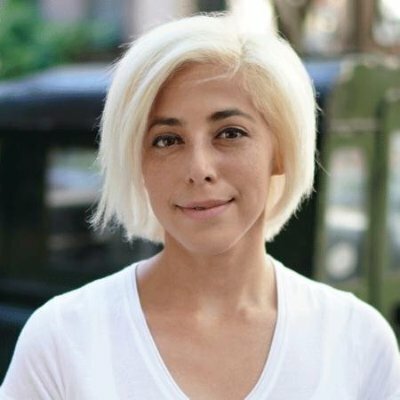 Later, it widened its horizons and shifted its marketing emphasis to the phone, working inquiries that came from broadcast and print advertising. And today the Internet is coming on strong.” – Warren Buffett, 2005. Well, things change. 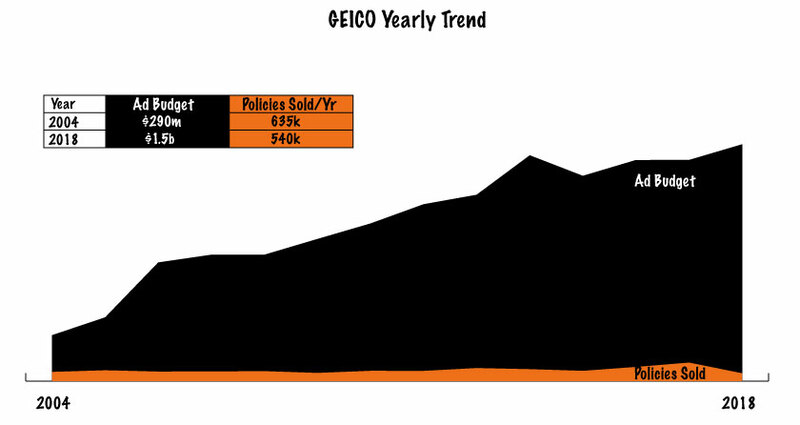 GEICO isn’t always the cheapest (never actually was) and its popularity on the internet is more costly than ever. According to a 2013 SNL Financial report, GEICO has spent about $6 of every $100 it collected in premiums on advertising, totaling $1.2b. This statistic sheds no light on GEICO’s customer acquisition costs as it combines renewals and new policies – not necessarily a bad view, however here’s a different view… Consider the graph below, which illustrates GEICO’s yearly ad spend from 2004 to 2018 and new policies sold each year (excluding renewals) – the idea is to assess the acquisition costs of GEICO’s new policyholders for the year. And while GEICO doesn’t share revenue data generated from new policies for a specific year, you can clearly see that their acquisition costs increased significantly since their first days selling insurance online. Similar to GEICO, USAA added ~500k customers in 2017, and ~400k customers in 2018 – signaling a challenge to acquire new/modern customers. 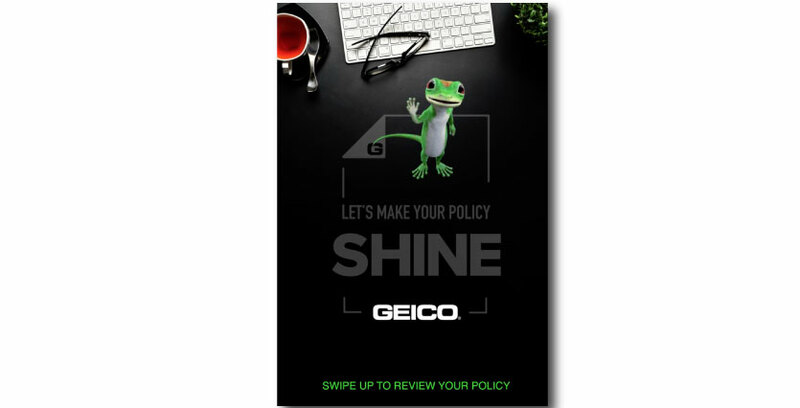 GEICO’s strategy is (1) working, is (2) ‘taken’ and for most insurers – is beyond their reach. Consider this last bit – in 2015, 10 insurance brands controlled ~45% of the P&C market. In 2018, 9 brands controlled a similar share. Too soon to call this a trend, but when you’ve spotted a trend, you’re already late to the game. Bottom Line: All that is lost with convenience can be regained with experience.